Gov. Bruce Rauner on Monday signed the first full budget of his term, a bipartisan $38.5 billion spending plan that requires no new taxes and even gives more money to schools. Lawmakers also passed a pay raise for teachers. Legislators are hoping this budget deal signals the beginning of a new era of cooperation. 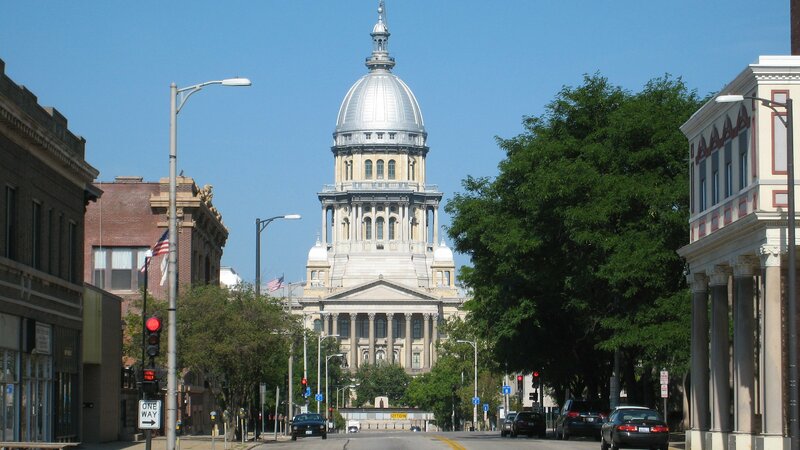 The Illinois Senate passed the bill by a 54-2 vote. In the Illinois House, the bill passed with a resounding vote of 97-18. While there were no new taxes in the spending plan it did keep in place the elevated 4.95-percent income tax rate. Some conservatives were unhappy the GOP didn’t fight the so-called “Madigan tax hike” and didn’t work to cut taxes in this budget. The budget counts on the sale of the James R. Thompson Center and very ambitious goals for pension buyouts. Meanwhile, the state still owes $6.6 billion in unpaid bills. Despite the budget compromise, credit rating agency Standard & Poors is keeping Illinois near junk bond status. “In our view … the budget falls short of achieving structural balance, relying on $800 million in interfund borrowing and $270 million of net proceeds from the sale of the state-owned Thompson Center,” the S&P’s latest report states. The spending bill calculates $23 million in pension savings from a buyout plan. The state could also borrow up to $1 billion to fund the buyouts. There is $172 million in the budget for the Obama Presidential Center and $53 million to cover some of the cost to build a new veterans’ home in Quincy, Illinois, where vets have died from an outbreak of Legionnaires’ disease. There are three gun bills that passed this session. Among those awaiting the governor’s signature: a 72-hour waiting period between the sale and delivery of all guns (SB 3256) and the Red Flag bill (HB 2354), which allows firearms to be temporarily taken from people who pose a threat to themselves or others. The controversial gun dealer licensing bill (SB 337) passed but is being held in the Senate. Rauner also has a piece of legislation on his desk that would allow people to use their opioid prescriptions for medical marijuana instead. Lawmakers are unsure whether he’ll sign the bill, considering his past opposition to expanding the number of medical conditions that qualify for medical marijuana. His administration has even going to court over expanding that list. “I am hopeful that the incredibly strong bipartisan support for this thoughtful and carefully crafted approach to preventing opioid abuse will prompt the governor to sign SB336 quickly,” said state Rep. Kelly Cassidy, the bill’s House sponsor. In another sign of bipartisanship, the Equal Rights Amendment passed 36 years after it was first debated. Joining us to talk about the spring session and the bipartisanship going into the general election are Illinois Senate President John Cullerton, a Democrat from Chicago; and the Republican Leader in the Illinois House, Jim Durkin, who represents Western Springs.